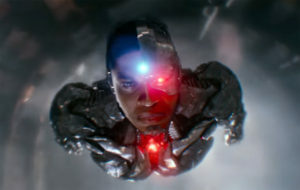 Home » Entertainment » Cyborg – The Next Major Black Superhero? The recently released Black Panther movie became a commercial success just a few days after it was released but that was not at all surprising based on the hype surrounding the film prior to its debut. The film which features a black lead and predominantly black cast was released on February 16 and has already broken all kinds of records. The movie earned an incredible $192 million on its opening weekend in the United States – thus setting a February opening record. And according to Screen Rant, the figure topped Deadpool‘s previous 3 and 4 day opening records of $132.4 and $152.1 million respectively. The film is also the highest-grossing solo superhero movie and the most tweeted about movie ever. But another black super hero may soon take the world by storm. His name is Cyborg and he was among the protagonists in the 2017 American superhero film – Justice League. Whether or not the film will rake in the big bucks at the box office is anyone’s guess but it seems there’s no end to DC’s creativity and the appetite for new superhero movies appears to be insatiable. The gambling industry has taken a slice of the cake from the franchise to create DC themed online slots and they are sure to sit well with the players. The fictional character Cyborg , currently played by the American actor Ray Fisher was created by writer Marv Wolfman and artist George Pérez Cyborg and first appeared in comics in 1980. Victor Stone, prior to becoming Cyborg was a a promising decathlon athlete before he met in an accident that destroyed a large portion of his body. His father Silas Stone, a brilliant scientist subsequently rebuilt his body with highly advanced machine parts in a bid to save his life. And his life saving transformation grants him incredible abilities. Among them are superhuman strength, speed, stamina, and the ability to fly. And as his new body is largely metallic, he is now able to withstand far more damage than an average human body. On top of that, he can interact with external computers and has x-ray vision courtesy of a new electronic eye. Cyborg may very well be the next major superhero movie to capitalise on the desire of millions across the globe who are yearning to see more persons of colour lead in mega blockbuster films. 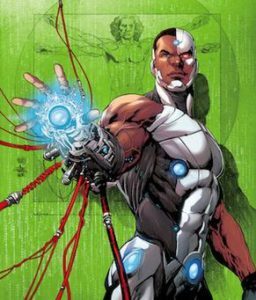 Let’s hope the Cyborg movie will do justice to its incredible backstory when it is released. IMDb states Cyborg is scheduled to be released in April 2020.